When it comes to camping with a truck camper, you'll need to install camper tie downs on your truck to provide anchor points that attach your camper to your truck. Campers require four truck camper tie down points, two at the front and two at the rear of your truck bed. There are two types of pickup camper tie downs available: bed-mounted camper tie downs and frame-mounted tie downs. There are also ratchet straps available, but one of the biggest problems with them is that you have no way of measuring the amount tension being applied to the tie downs on the truck. This is critical due to the fact that manufacturers require 300 pounds tension at each truck camper anchor point. Inability to measure the load being applied by the ratchet straps makes it very easy to damage either the tie downs, the truck frame or the camper’s anchor points if there is too much tension. On the contrary, when less than the proper tension is applied, the truck camper can shift and damage both the camper and the truck bed. We looked to create a tie down product that when used with spring-loaded truck camper turnbuckles such as the No. 1 selling FastGun turnbuckle, the SpringLoad XL, Basic SpringLoad, and AnchorGuard turnbuckles, that the whole system replaces potentially hazardous ratchet straps and keep your camping experience safe and enjoyable. 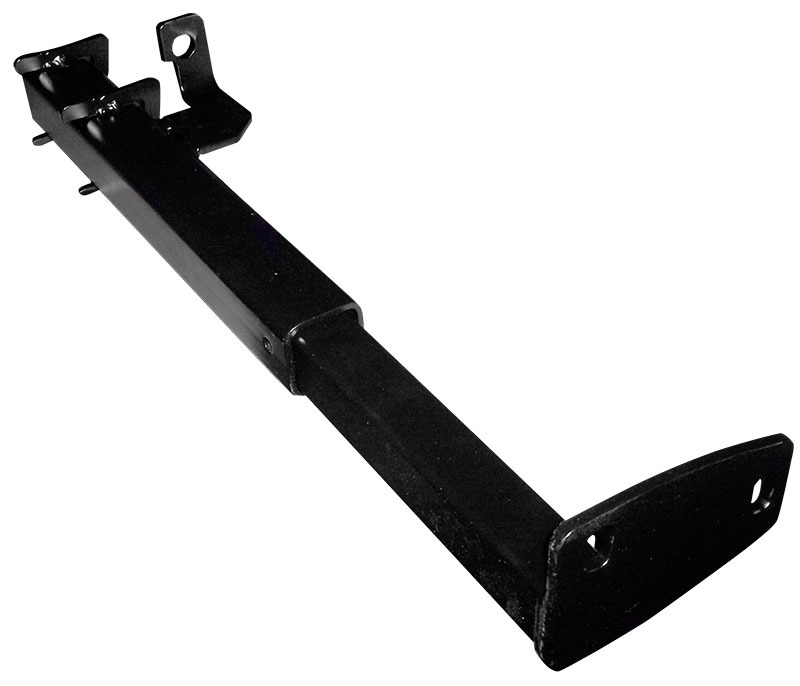 We highly recommend frame-mounted because they provide the strongest base for securing a truck camper. The truck's frame provides a stronger foundation to hold the truck camper down than the weaker sheet metal of its bed and bumper. Frame-mounted truck camper tie downs also have another advantage: they ensure that your setup won't be too top-heavy. Since they are installed to your truck frame, they’re lower than your truck bed so the weight of the tie downs is on your frame rather than your bed. The lower attachment point distributes weight better, so you get improved handling and a more stable truck while hauling and towing. 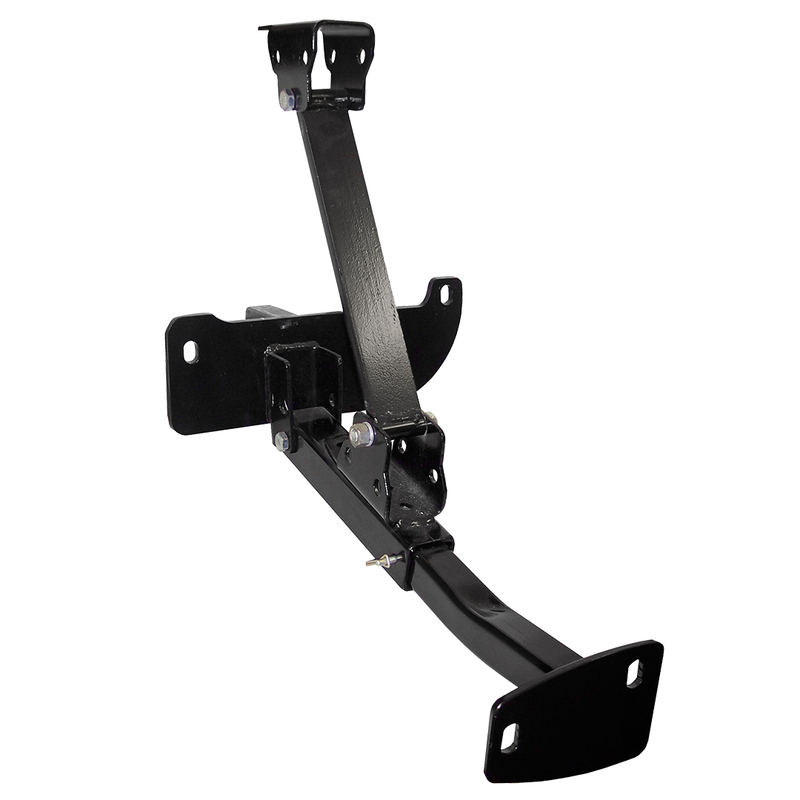 Torklift frame-mounted tie downs are designed to fit specific vehicle makes and models and consists of two parts. The two parts include: a tie down bracket that attaches to your vehicle and a removable insert that slips into the receiver or bracket. The tie down insert is held in place with a pin and clip so that it can be installed and removed easily. That means with Torklift tie downs, you don’t compromise any ground clearance and they are hidden when not in use. Simply remove the insert when not hauling your camper. When the insert is removed, the receiver or bracket stays tucked away and out of sight underneath your truck. Accessories are also available for truck camper tie downs. 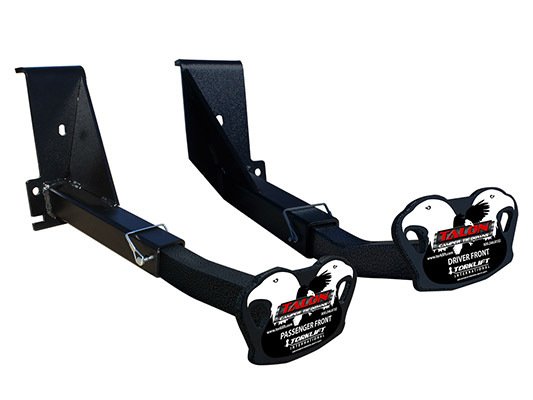 These products include the Torklift Tie Down Finishing Kit which is designed to protect the portion of your tie down that is installed to the frame of your truck. 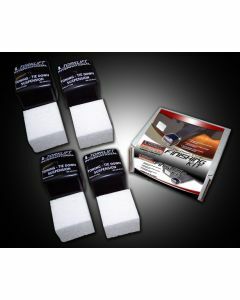 The Finishing Kit prevents road debris and grime from entering the receiver tube, helping to prevent rust. The other accessory products available are Tie Down Locks which lock your tie down inserts to the receivers, preventing any potential theft. All Torklift tie downs come with a Legendary Lifetime Warranty and when used with any of our fully springloaded turnbuckles, we warranty the truck frame and camper anchor points for the extent of the manufacturer warranty. These tie downs for truck campers are proudly made in the USA.